Eastern Cottonwood tree (Populus deltoides); photo by Jason Sturner on Flickr (use permitted with attribution). Nebraska designated the cottonwood (Populus deltoides) as the official state tree in 1972, replacing the original choice made in 1937 - the American elm (Ulmus Americana L.). The cottonwood tree is often associated with pioneer Nebraska - shoots were collected and planted on claims, and several famous early landmarks were cottonwood trees. Today cottonwood trees grow throughout Nebraska. 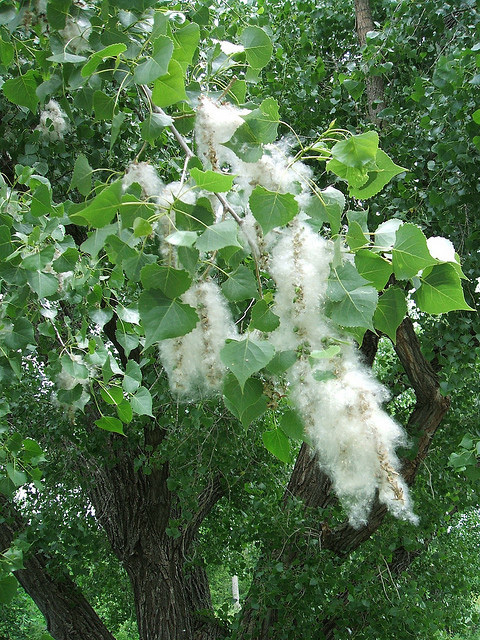 The cottonwoods are deciduous trees of the poplar species, distinguished by thick, deeply fissured bark and triangular to diamond-shaped leaves. 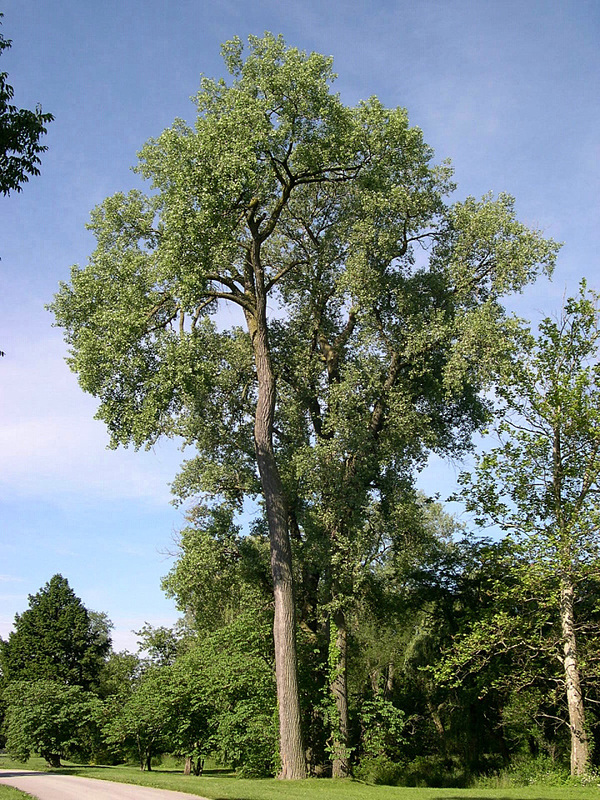 The Eastern Cottonwood (Populus deltoides) is one of the largest North American hardwood trees (growing (20-45 meters tall), although the wood is rather soft. Cottonwoods are grown for timber production along wet river banks because they are exceptionally tolerant of flooding, erosion and flood deposits filling around the trunk. Their exceptional growth rate provides a large crop of wood within just 10-30 years. The wood is coarse and of fairly low value, used for pallet boxes, shipping crates and similar items (where a coarse, inexpensive, but strong wood is suitable). Many of the cottonwoods grown commercially are a hybrid between Eastern Cottonwood and Black Poplar. The seeds of cottonwood trees have a cottony structure which enables them to blow long distances in the air before settling on the ground. 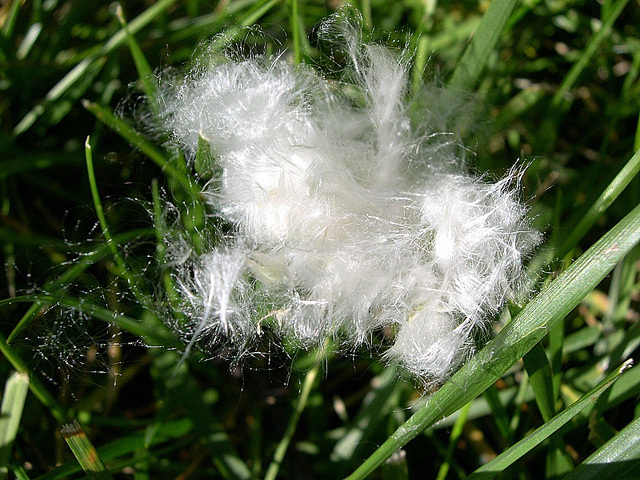 This cotton-like fiber tends to collect everywhere when the seeds fall - massed in billowy piles on roadsides, insinuated in other plant-life and flower petals, and tickling noses. Several butterfly and moth species feed on cottonwoods. Cottonwood bark is a favorite medium for artisans because it is soft and easy to carve. Cottonwoods are not good for wood fuel because it splits poorly, does not dry well, and rots quickly. A female eastern cottonwood (Populus deltoides) shows why its called a "cottonwood" tree - it has produced lots of seeds with cotton-like fluff (which allows the wind to disperse them widely); photo by John Lillis on Flickr (noncommercial use permitted with attribution / no derivative works). 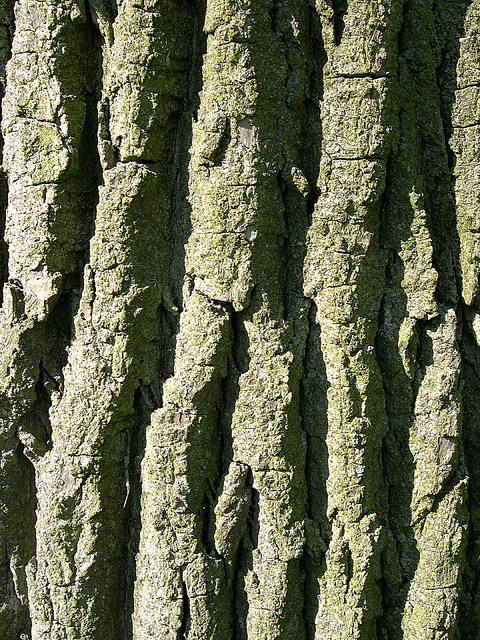 The distinctive bark of the eastern cottonwood tree (Populus deltoides); photo by Jason Sturner on Flickr (use permitted with attribution). 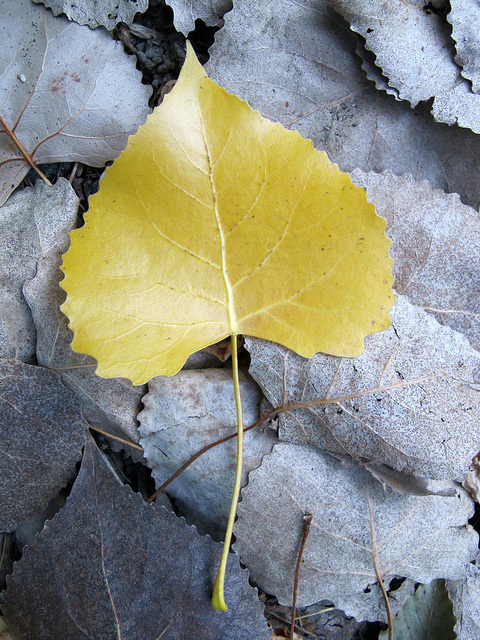 Eastern cottonwood leaf in golden autumn color; photo by Kristine Paulus on Flickr (use permitted with attribution). Close-up of cottonwood tree cotton (Populus deltoides); photo by Jason Sturner on Flickr (use permitted with attribution).